Up until the turn of the millennium, the infamous Kai Tak International Airport was Hong Kong’s primary aviation hub, having served its highly urbanised population since 1925. 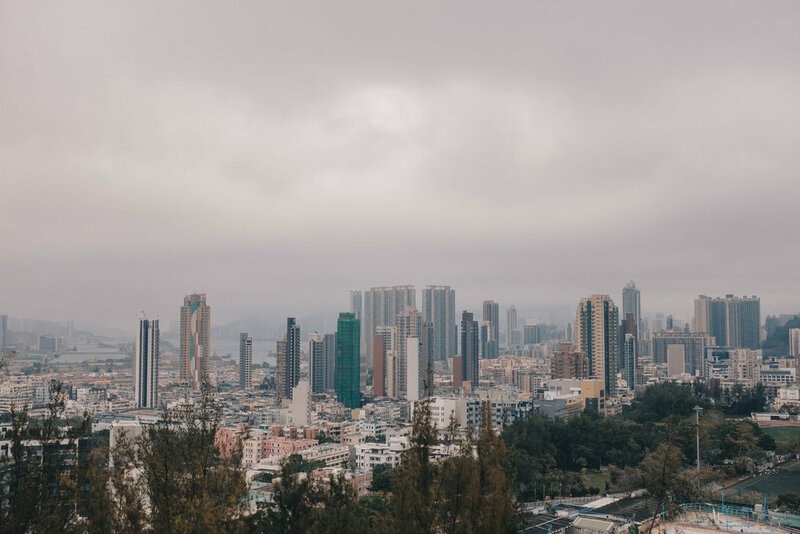 Yet, despite (or perhaps due to it) its prime location just minutes away from neighbourhoods of Kowloon, the city government eventually decided to shutter the operation. Its replacement? The newer site located on the island of Chek Lap Kok which we now affectionately know as HKIA. Older fliers and enthusiasts would recall some of the world’s most iconic aviation photos being taken in Hong Kong of planes on approach into Kai Tak. Seeing plane-spotters climb onto roofs, parking garages or makeshift verandahs to catch a good angle of planes landing at the airport was not an uncommon sight no matter the time of day. The location of the airport, however, invariably caused problems for both residents and pilots. Many complained that planes would often generate unbearable levels of noise for low rise residents, whilst airlines complained about the operational risks faced by pilots. The harrowing manoeuvre required in Kai Tak's harbour runway landing procedure was one of the world's most dangerous, though Concorde has landed safely in Kai Tak before. With its shutting in 1998, the infrastructure that supported Kai Tak's operations also faded away. For this article, we'll look at its most infamous and critical symbol - ‘Checkerboard Hill’, a literal checkerboard painted onto a hill. Checkerboard Hill was a visual identifier devised by airport authorities to help pilots guide their planes into the narrow harbour landing strip that Kai Tak airport operated. In essence, once pilots sighted the large checkerboard, it was time to switch off their autopilot, and execute Kai Tak's final landing procedure - the Kai Tak Heart Attack. At the heart of this tricky procedure lies the requirement for pilots to make a sharp right turn (47 degrees) after the checkerboard came into view. This was especially tricky because pilots had to judge this crucial turn perfectly whilst maintaining an altitude of only 300m. They also had to simultaneously monitor their speed to a tee in order to land at a safe speed and prevent a runway excursion. Though the procedure was easily managed during calm weather, Hong Kong's ever perennial fog and typhoon seasons would unsurprisingly complicate matters even for the best pilots. One jet even overshot the runway after trying to land during a tropical storm. Currently, the iconic checkerboard has joined the long list of 'things in Hong Kong in desperate need of refurbishment' ever since it lost its function as a result of the relocation. For the moment, it seems as if the city's authorities have simply forgotten about the hill, leaving its fate to nature's course. Checkerboard Hill towers over Kowloon Tsai Park, an interconnected complex of recreational sports facilities. What is of interest to us, however, are the three tennis courts sitting on a raised plot of land. From here, one can find a really steep flight of stairs that 'visitors' can use to climb the hill. Though these stairs are 'protected' by a fence, many have been able to bypass it using an adjacent rock formation. At this point, a word of caution: attempting the climb up to the Checkerboard is not easy, and you shouldn’t attempt it if you’re a) scared of heights or b) feeling unwell. There are absolutely no failsafe mechanisms (ie. ledges) to break your fall. Attempting this is also probably illegal (hence the fence), but the area isn’t exactly policed well and when we were up there, there was an old timer reading the day’s paper just as casually as anyone would be at ground level. As mentioned, the checkerboard is in a state of disrepair, and it is really hard to get a good view of it in between overgrown trees. However, if you do reach the top of the hill, you’ll be able to experience one of the city’s most iconic views, and be able to imagine the route (and death-defying degree turn) that planes had to take in order to line up with the runway at Kai Tak, which can still be seen in the distance. For a city that's incredibly popular with hikers, it seems as if this climb up to the checkerboard is pretty off the radar. However, despite its unpopularity, it is could perhaps turn out to be one of the city's most iconic. I’ll let the pictures speak for themselves here. Amazingly, someone has levelled the top of the hill to make some sort of a playing field. We'd also advise to make the descent from where you came from instead of descending from the other side of the hill. This is because the other side though similarly treacherous, has no proper ‘exit’, or at least we weren't able to find one. The only way I managed to get out was to do some elementary gymnastics and walk on some slippery grates before finally being able to emerge onto the main road; though not without going through a refuse processing facility. Sigh, choices. Enjoying the day's paper on a hill towering over the city? No biggie. After Kai Tak’s retirement, the city government had a long drawn out tussle over the future of the now-defunct terminal and runway. After much deliberation, it was decided that it would be transformed into a ferry terminal for the territory’s burgeoning new cruise industry - how exciting. At the same time, the non-commercial parts of the strip are now being turned into a public park, which I guess is an apt use for the awkward rectangular plot of land jutting out from Kowloon. Nevertheless, it is nice to see that there is still some semblance of the old Kai Tak Airport still around even as we move past the 20th anniversary of its closure. We encourage anyone who's down to explore Hong Kong to check Checkerboard Hill out. We think that it is one of Hong Kong's hidden gems for photography and should make it onto a list of secret places in Hong Kong (even though we've covered it). If you're unsure of where to go in Hong Kong for your next trip, this is one to consider. Like what you're reading? We regularly write about aviation and anything related to travel. Follow us on Facebook to keep up!